The U.S. Food and Drug Administration (FDA) has approved YUTIQ™ (fluocinolone acetonide intravitreal implant) for the treatment of chronic non-infectious uveitis affecting the posterior segment of the eye, announced EyePoint Pharmaceuticals. YUTIQ utilizes the Company’s Durasert™ drug delivery technology and is a non-bioerodible intravitreal micro-insert in a drug delivery system containing 0.18 mg fluocinolone acetonide, designed to release consistently over 36 months. YUTIQ is supplied in a sterile single-dose preloaded applicator that can be administered in the physician’s office. In clinical trials, YUTIQ significantly reduced the rate of recurrent uveitis flares versus sham, and the most common adverse reactions reported were cataract development and increase in intraocular pressure (IOP). The approval was based on data from 2 sham injection-controlled, double-masked Phase 3 trials. In both studies, fewer patients treated with Yutiq had recurrence of uveitis flares at 6 and 12 months, compared with sham injection (Study 1: 18% for Yutiq vs 79% for sham at 6 months; 28% vs 86% at 12 months; Study 2: 22% for Yutiq vs 54% for sham at 6 months; 33% vs 60% at 12 months). The most common adverse reactions reported in clinical trials were cataract development and increases in intraocular pressure. “The approval of YUTIQ is an advancement in the treatment of non-infectious posterior segment uveitis, as it delivers consistent dosing without the peaks and valleys of current local corticosteroids, the standard of care. The clinical data have demonstrated that YUTIQ has a meaningful effect to lower recurrence rates at six and twelve months following treatment. I believe the effect on recurrence rates will be highly beneficial to help to prevent secondary complications that can lead to vision loss. The approval of YUTIQ is an important step forward for patients and caregivers,” said Dr. Glenn J. Jaffe, Robert Machemer Professor of Ophthalmology at Duke University School of Medicine. 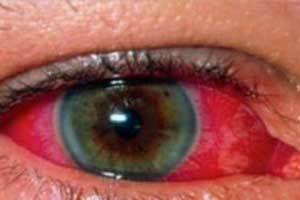 Non-infectious posterior segment uveitis is a chronic, non-infectious inflammatory disease affecting the posterior segment of the eye, often involving the retina, which is believed to be a leading cause of blindness globally. It affects people of all ages, producing swelling and destroying eye tissues, which can lead to severe vision loss and blindness.